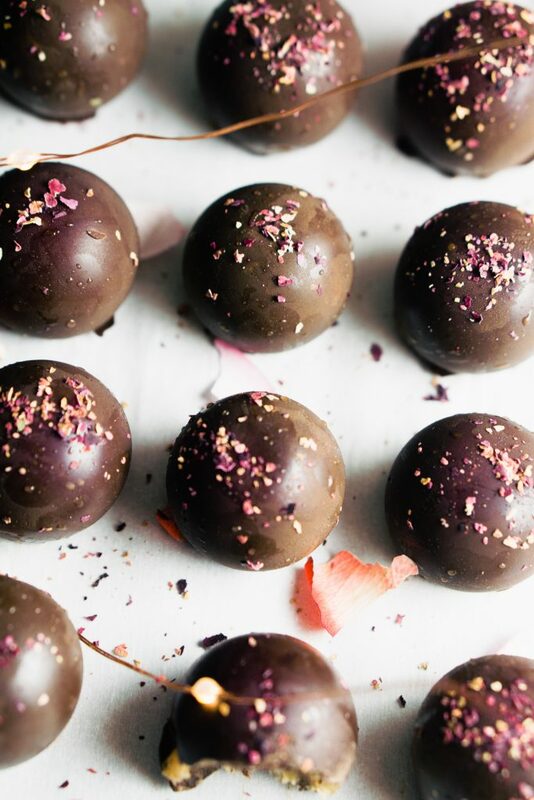 Rose caramel filled chocolate truffles (vegan, paleo, & refined sugar-free) it’s mother’s day! and I have been waiting sooo long to make these for the Moms in my life. The caramel is 100% vegan, paleo, delicious and so easy to whip up. 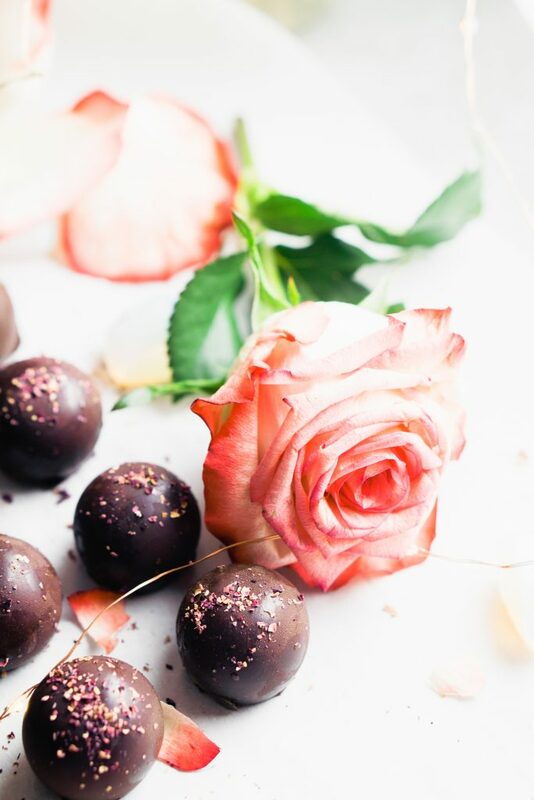 The rose dust gives the caramel just the right hint of a delicate taste of rose. 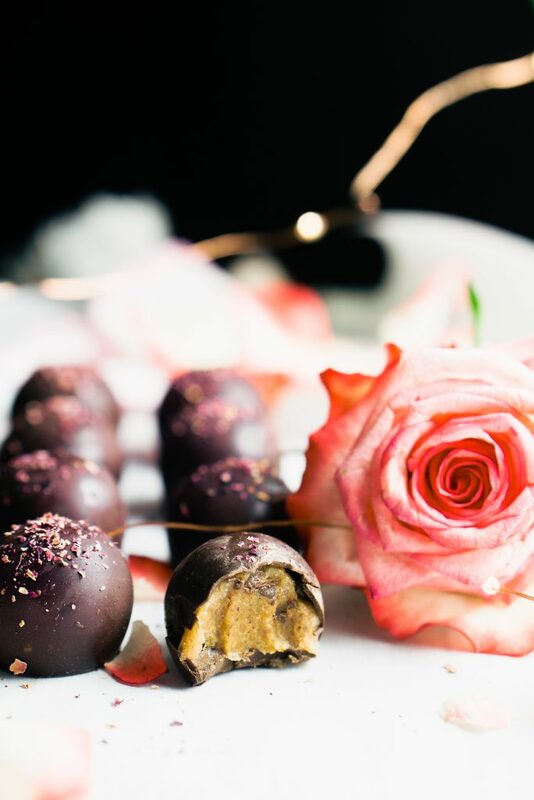 I believe all the women in our lives deserve a special treat so why not impress them by making them a fancy caramel filled chocolate truffle? It really amazes me as I get older the women I know who work and have kids. I know that sounds so simple to say but in all honestly just being an adult is a hand full. The women I work with who juggle getting their whole family? and here I am jumping on the toll road just to save myself a few minutes of time to just get myself to work. So for all you Momma’s out there, I give you all the shoutouts. Let’s be real the men and Father’s deserve shoutouts too. My passion is to come up with simple recipes that you can whip up for your family and friends that are healthy and good for you. 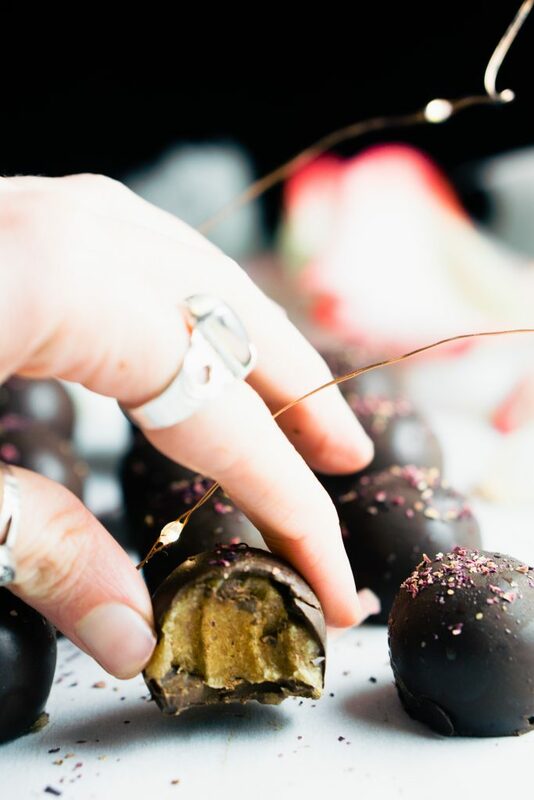 in a double boiler, start to melt your chocolate and add in the raw monk fruit – add more sweetener if desired. 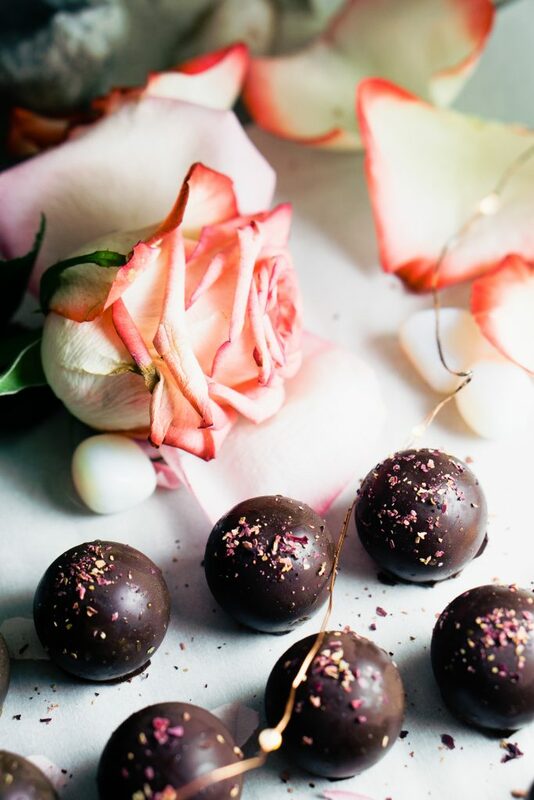 now carefully spoon the melted chocolate into your silicone truffle molds, use a silicone brush or your fingers to distribute the chocolate evenly within the mold. place into the freezer until solid. make your caramel filling by placing all the ingredients except chocolate until a food processor. pulse on high for 1-4 minutes adds more lemon juice or coconut oil if it is too thick, you will know it’s complete when the mix is sticking together and will look just like caramel. now take out the silicone molds from the freezer and spoon the caramel into the molds – again be very careful. once the caramel fills ALMOST to the top of the mold, fill the rest of the room with more melted chocolate. place into the freezer for about 2 hours or until completely solid. if the chocolate starts to crack when popping out the chocolates it is too soon, so put them back into the freezer a little longer.